Each mission was a complex that included a church, sleeping quarters for the families, residences for the priests, a variety of other buildings such as workshops, warehouses and granaries, as well as farm fields, ranchlands, and irrigation systems. Under the guidance of the priests and master stonemasons, the structures were built over many years by the native people using locally quarried limestone. 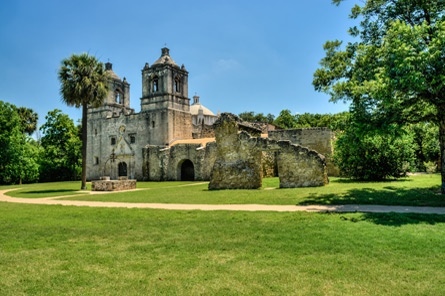 Construction of the first, the Mission San Antonio de Valero — the Alamo — began in its current site in 1724, although the mission was first founded in 1718 at another nearby, but less suitable place. Construction of the other four missions began within the next decade. 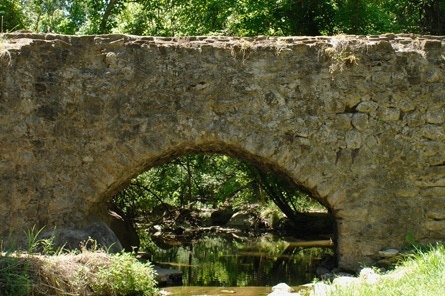 Each current existing mission was built three miles from the next, and all are close to the San Antonio River. From the river to the missions, irrigation channels were dug. Called acequias, the ditches were based on Spanish design that was derived from the technology of Rome and the Arabian Peninsula. 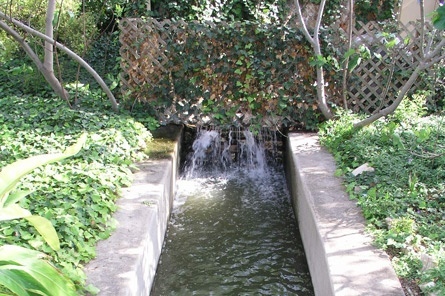 The acequia at Mission Espada is the only remaining Spanish aqueduct in the U.S. and is a National Historic Landmark. The missions continued for 60-100 years. Spanish officials secularized the Alamo in 1793. Over the next 31 years, the remaining four missions became secularized. 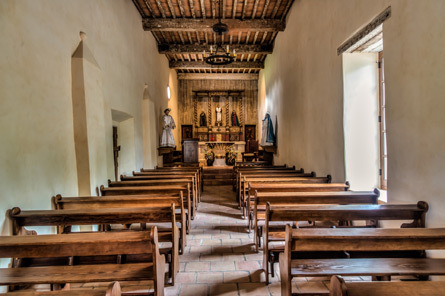 The churches became the property of local Catholic clergy and the mission lands were either sold or divided among those who lived and worked there. 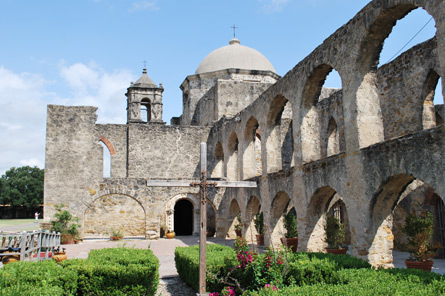 The full secularization of the San Antonio Missions completed in 1824. 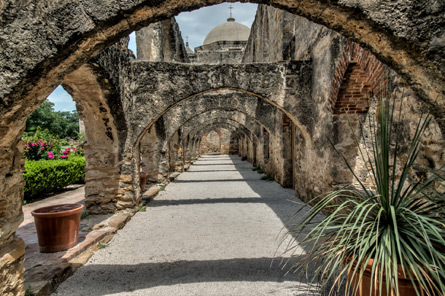 Today, the four southernmost missions — Concepción, San José, San Juan and Espada — are operated by the National Park Service as San Antonio Missions National Historical Park. The churches in all four missions are active Catholic parishes. 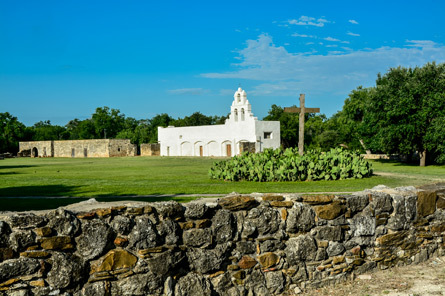 The missions were self-sustaining communities during operation and were built to give Spain a foothold on the Texan frontier. 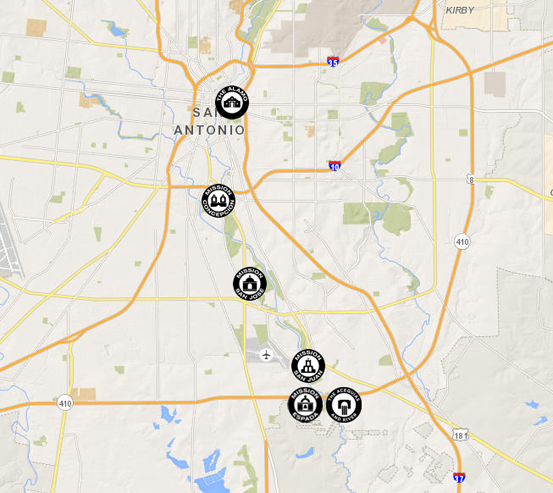 Explore the mission trail below to plan your visit to San Antonio.